Customers demand great service, and one crucial aspect of great service is fast and affordable shipping. So if you want your e-commerce business to succeed, you need to ship fast and cheap, if not free! Amazon, used for more than 50% of all product searches in the United States, promises fast, affordable delivery combined with an extensive customer protection plan – and it pays off. As an Amazon seller, meeting these shipping requirements is your responsibility. A good fulfillment solution can help you meet Amazon’s shipping standards without compromising costs and customer satisfaction. There are multiple fulfillment options for Amazon sellers, and this can make picking the best one for your business confusing. The three most popular options are to ship yourself (1PL), ship using a third-party logistics provider (3PL), or ship through Amazon’s own fulfillment program (FBA). We’re going to delve into the pros and cons of each, as well as show you what a good fit for each solution looks like. A good example of 1PL is shipping products from your basement via the post office. You’re also fulfilling via 1PL if you own your warehouse with a complete pick and pack setup, a USPS account, and the machinery to print packaging, packing slips, and stamps – and then have packages picked up from your warehouse. 1PL gives you complete control, which means you can customize every part of the fulfillment process and make changes wherever needed. Owning your own logistics allows you to create quality control, choose specific packaging based on your needs, and review every package. If you have the resources to handle a customized fulfillment process efficiently, 1PL can provide your customers with a great experience. 1PL requires that you own every step of the fulfillment process. You must store inventory, pay for printing machinery, manage employees, handle pick and pack, invest in shipping and tracking software, manage quality control, and create accounts with shipping providers, among other things. And because it’s expensive to create a high-quality fulfillment process, 1PL can be challenging to most medium businesses. 1PL is a quality solution for many businesses, but can incur more costs than other solutions. 1PL requires that you invest in fulfilling orders yourself, which means creating the infrastructure to achieve fast, efficient fulfillment for your business. This method is ideal for low-volume sellers who have high costs per product. It’s also best for large businesses that can balance the costs of creating infrastructure and investing in the machinery and employees to handle fulfillment quickly. If you choose to distribute through 1PL, your biggest challenge will be managing and processing orders and personnel in a timely manner. Amazon requires you to meet certain policies, like shipping within 2 business days, so you need a quality inventory management system in place. 3PL, or Third Party Fulfillment, is a flexible fulfillment option where you may move fulfillment to an operating partner. While this option has some flaws, the pros greatly outweigh the cons for most e-commerce stores. A 3PL partner will likely have an extensive warehousing and distribution infrastructure set up, often in multiple countries, allowing you to easily step in and take advantage of their system. Although you’ll need to pay storage and distribution fees, these costs may be lower compared to 1PL because the 3PL has a larger system, and therefore, fewer costs per product. In fact, most businesses who switch to 3PL see reduced costs per product shipped. 3PL fulfillment also means that a large, often international, company is handling your fulfillment. When an order comes in, they have the means to process the order and ship it out on the same or next day. Because these companies specialize in shipping, they can accelerate processing, boosting your customer satisfaction along with your Amazon ranking. In most cases, 3PL also provides a high level of order customization, which varies depending on the company. For example, you may be able to order custom packaging and packaging inserts to be handled by the 3PL. Setup Fee – Depending on the 3PL, this one-time fee will cost hundreds to thousands, but will likely include a full setup, including software integration and training. Receiving Fee – Most 3PLs charge per shipment received to their warehouse. It may be an hourly rate for unloading, counting, and entering products into inventory, or a flat fee per delivery, or a flat rate per product. You can expect an average of $40+ per delivery. Storage – Most 3PL charge a storage fee per square feet, while some charge on a pallet basis. Standard fees range from $8-15 per pallet per month. Fulfillment – Depending on the 3PL, you can expect to pay $3-$10 per product. This covers picking, packaging, labels, package inserts, package customization (if desired), and order processing. Shipping – The actual freight charge as paid by the 3PL. In most cases, you will receive a steep discount over listed rates because 3PLs receive bulk shipping rates. As a seller, you will be challenged with maintaining stock in the 3PL warehouse, letting go of some control over quality control, and ensuring that stock moves quickly enough that you don’t incur high costs for long-term storage. 3PL is an ideal solution for many e-commerce sellers because it allows them to handle fulfillment efficiently without having to invest in their own solutions. 3PLs can help you manage fulfillment to meet customer expectations and Amazon shipping policies without investing heavily in fulfillment and warehousing. While it’s not appropriate for most low-volume sellers, medium-volume sellers can save on costs per product because a 3PL eliminates the need for employees, warehouse rental, and other operating costs. 3PL is also beneficial to rapidly scaling businesses by helping them meet increasing product volumes. Should you choose to use 3PL, your primary concern will be ensuring that you work with an affordable, quality company that can meet your expectations. You should also ensure that their software works with your inventory management, that you can communicate with them easily, and that you have the infrastructure to manage your inventory in their warehouse to prevent stock-outs. Fulfilled by Amazon or FBA is a service that allows you to ship your products directly to Amazon for distribution. 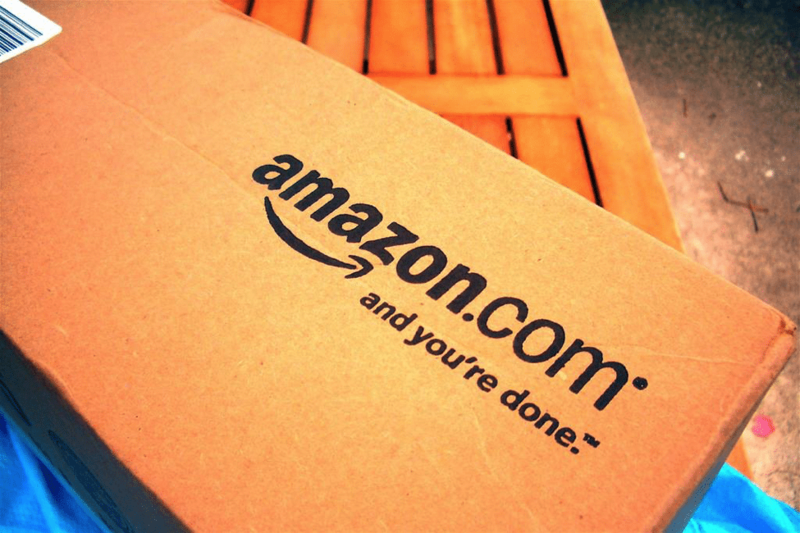 When your product sells, Amazon ships it out (sometimes within the hour). Amazon FBA can increase your sales and improve customer satisfaction, but it does come with higher costs and some constraints that make sellers hesitant to use it. Amazon FBA offers a number of benefits that can help sellers increase revenue. For example, Amazon FBA products sell more quickly, are fulfilled more quickly, and have lower return rates per product, despite higher product sales. You earn less per sale due to higher costs, but with a higher volume of sales, you increase your product sales velocity, boosting your total revenue. How? Many Amazon FBA products qualify for Fulfilled by Prime, allowing more than 66 million Amazon Prime members to get free 2-day shipping. Some sellers are hesitant to use FBA due to concerns over the service. For example, when Amazon ships your product, it might not be the same product that you shipped to Amazon. If you aren’t selling private label products, Amazon will simply pick that product from any warehouse nearest to the buyer and ship that to them. This reduces costs and improves shipping speed, but it greatly reduces your ability to control quality. You also get minimal order customization. Amazon ships FBA products in Amazon branded boxes with no inserts or custom packaging, reducing the impression of your brand. From the customers’ perspective, they are buying directly from Amazon. However, this can be a good thing because if something goes wrong, it goes directly to Amazon’s customer service, reducing the burden on your business. Most Amazon sellers can benefit from FBA, but you should use it cautiously. FBA does increase costs, so you should know which products will remain profitable to capitalize on the additional exposure, and which will sell quickly enough to keep storage fees at a minimum. Using FBA means giving up some control of your product sale to boost sales. If you choose to integrate it, you can cut costs by handling product preparation yourself including individual product labeling with ASIN and UPC codes on the package. Although Amazon can handle this for you, it costs significantly less to do it yourself. You can also consider ramping up to FBA slowly, sending increasingly larger shipments to Amazon so that you can integrate without investing heavily in additional inventory upfront. Every fulfillment option has its pros and cons and it’s important that you review them to make the best decision for your business. However, there is no “one” best solution. Most e-commerce stores benefit from a careful mix of fulfillment solutions designed to reduce costs, maximize sales, and ensure that customers are as happy as possible. For example, most sellers can benefit from sending products through FBA, but they don’t have to send all your products. Scaling up through Amazon FBA while selling products and fulfilling by yourself or with a 3PL will allow you to improve sales without giving up control over your product. It’s also important to consider costs. Amazon FBA and 3PL have a variety of costs depending on the services you are paying for, some requiring a one-time payment and others requiring monthly payments. It’s important that you balance expenses to ensure that the solution you choose is cost-effective. Finally, consider your capabilities for fulfillment. A rapidly scaling e-commerce store will be hard-pressed to keep up with increasing product sales. A 3PL can easily handle this growth by scaling your account up to take up a larger percentage of their total resources. Similarly, you may not be able to keep up with increased sales via an Amazon sale, but you may with FBA. For most Amazon sellers, 3PL and FBA represent solutions that can help you reduce shipping costs, improve fulfillment speed, and improve customer satisfaction. However, there is no absolutely right answer for every business, so you must choose the best option for your specific needs, budget, and sales volume. Crucial Vacuum Founder Chad Rubin grew his e-commerce business to an 8-figure business in 7 years. He is a Top 250 Amazon Seller, and co-founded Skubana as an all-in-one ERP system and operations platform designed for high volume sellers to run and automate their business. It integrates with most e-commerce marketplaces, 3PLs, and warehouses, provides profitability and multi-channel inventory management, and compiles all your marketplaces on a single convenient dashboard. Learn more at info@skubana.com or sign up for a 14-day trial. We are entering into a Fulfillment by Vendor program with Amazon. We are in need of an integrator who can provide the order processing support needed to connect the Amazon Central to our 3PL ecommerce fulfillment partner.